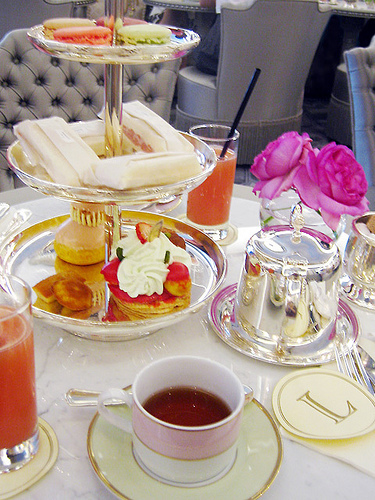 me & my friend spent a beautiful afternoon at Laduree! you can order the afternoon tea set by couple of persons. the salon is inspired from Marie Antoinette’s private house. 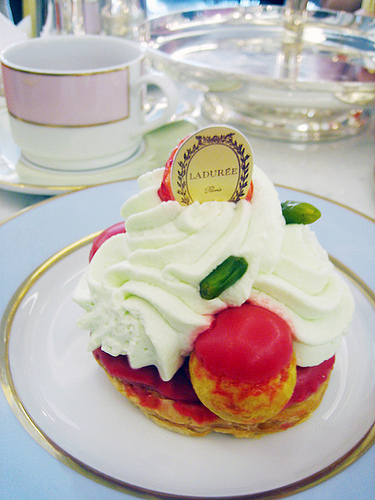 Thanks to you I will now get to savour some Laduree when I visit Tokyo next month! I didnt know they had a shop in Tokyo! :D Thank you so much! oh you come to Tokyo :) please enjoy everything around here!! C’est belle! What a wonderfully decadant experience. Existe t il un deuxième salon de thé à Tokyo? You can check more photos below URL. I saw the picture but have you a picture of this place. hello, could you tell me what the prices were like in comparison to laduree in paris? 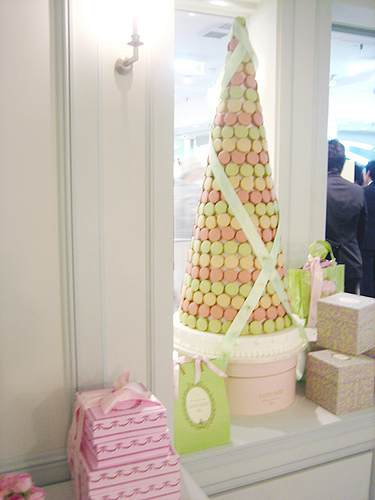 Yes~ I was wondering about the price range at Laduree in Yen as well! My sister and I would love to try the high tea, and are wondering how much we need to take with us when we go. Please help me find an English edition of the Tokyo tour Laduree magazine. I need it very badly. Any help is greatly appreciated. Thankyou!